A level JC Mathematics? Mr Ang is here to help you! Find out the secret behind the “ad-hoc” style of group tuition that is more effective than a typical tuition class! Many parents are not aware that different JCs teach various topics in different order. Unlike secondary schools where a standardised textbook is used, JCs uses their own in-house notes and tutorial. 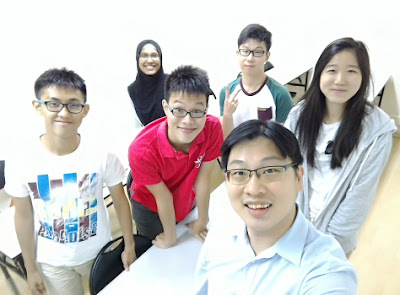 A typical tuition class for JC math is one whereby all the students will follow a fixed syllabus set by the tuition centre, regardless whether it is the same as the school. While one may say that this allows students to learn new topics in advance and be ahead of their peers, the reality is that it only benefits students who are academically capable (they don’t need tuition in the 1st place). However for a struggling student, he or she may end up studying 2 topics in 1 week which will make things worse. So some tuition centres have a different strategy of opening classes specifically for a particular school. This is more effective for students from the chosen school but students from other schools may not benefit from it. Hence what a minority of tutors adopt is the “ad-hoc” based tuition. Each student gets to decide every week what topics he or she want to revise and the tutor will prepare the materials accordingly. This is the most effective small group teaching as this “ad-hoc” style of tuition suits the students’ needs rather than students follow the tuition centre. Downside? The tutor has to prepare many materials every week. However the effort is worth it. To find out more about ad-hoc small group tuition for A level math, do not hesitate to Click Here!